I have had Tilly (Waltzing Matilda) for around 18 months. 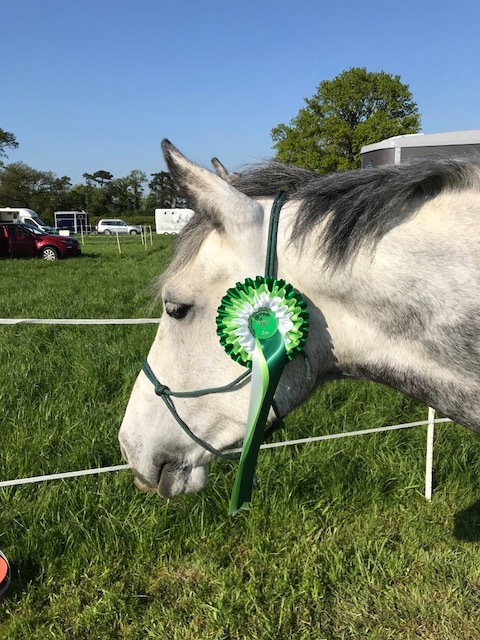 Having had a successful Winter season of Arena TRECs, coming second in the CTG winter league for Novice Horse, we are now into our second summer season. We did Level 1 last year, as Tilly was quite young and lacking in oomph!! 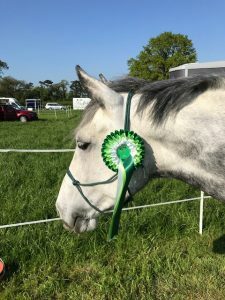 We qualified for the championships where we came 5th in the open individual class. competitions will be at level 1, then Level 2 here we come!! Back in April we attended the Long Drove applied dressage training. This was an excellent session where we worked on adding style when tackling PTV obstacles. 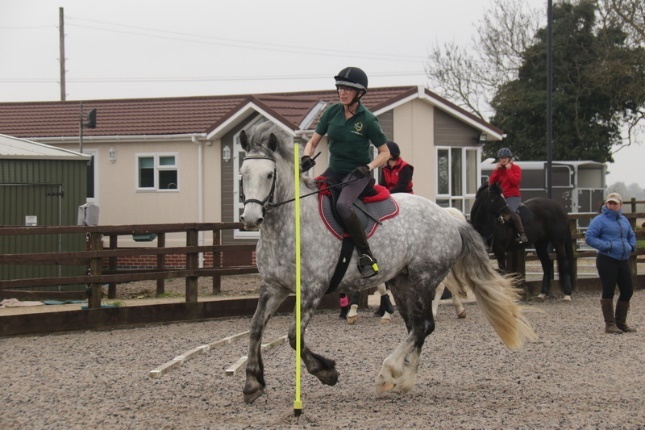 We were given tips on how to ride the obstacles more effectively and I was thrilled to achieve cantering the bending poles. We also improved the rein back, amongst others, but the S Bend is a work in progress! 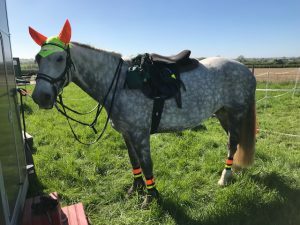 The Early May Bank Holiday saw CTG’s first full TREC of the season. Entries flooded in and we had a great competition. The sun shone and the riding was beautiful. Such a lovely venue. Tilly and Dennis set off at a jog, a first for Tilly. I’ve never known her to be so energetic. It’s taken a long time to get her this fit. It was like riding a different horse. There were 6 PTV obstacles on the POR course. And the remaining 10 were on a separate timed course. Jumping is a bit of an issue for me, due to losing my confidence and I usually decline. Such a waste of a potential 10 points. We have been having lessons over the last few weeks and I’m pleased to say we sailed over both jumps on the course. The MA was in the school and we scored in both the walk and the canter. The social and meal on both the Saturday and the Sunday were very enjoyable and we met up with old and new friends. Prize giving came and we achieved 4th place. A good start to the season. Our next event is National Forest, Level 1, then it’s Level 2 for subsequent events. TREC is very addictive and you can’t get enough of it. Lots of competitions planned for the summer.